- Persian cats are one of the oldest breeds of cats in the world, and are very calm and quiet. Pennant measures 16" wide by 20" tall. Rayon batik. Banners have a tube sewn at top for a rod or string to hang them. 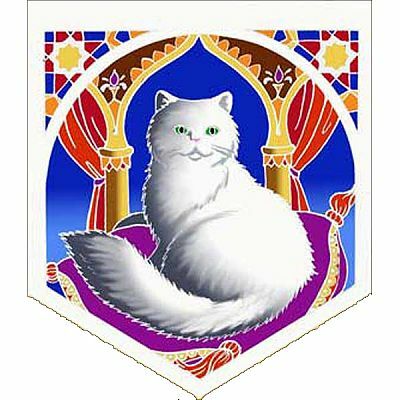 Do you have any other questions about our Persian Cat Pennant?